If you are visiting the markets in the Dordogne in the peak of summer it is advisable to get there early as it can get very busy. Lacapelle Biron: evenings – general market. Les Eyzies de Tayac: mornings – general market. Sainte Alvère: mornings – general market. 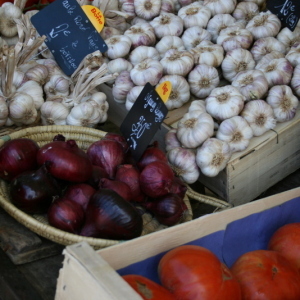 Sainte Alvère: 15 June to 15 September – market sells local produce. Sainte Alvère: December to February – Truffle market. Tocane St Apre: morning market in the centre of town – general goods and food. Brantôme: mid June to mid September mornings – fresh farm produce. Castillonnès: mornings – general market. Eymet: evening market during July and August. Le Bugue-sur-Vézère: mornings – fresh regional produce. Mareuil-sur-Belle: mornings – fresh food. Riberac: May to September morning market at Place de la Liberté – fresh farm produce. Saint-Amand-de-Coly: July and August evenings from 18:00 – local farm produce. Saint-Aulaye Dordogne: last Tuesday of the month – fair. Belvès: July and August evenings around the hall – local farm produce. Bergerac: mornings at Place du Marché Couvert – fruits and vegetables. 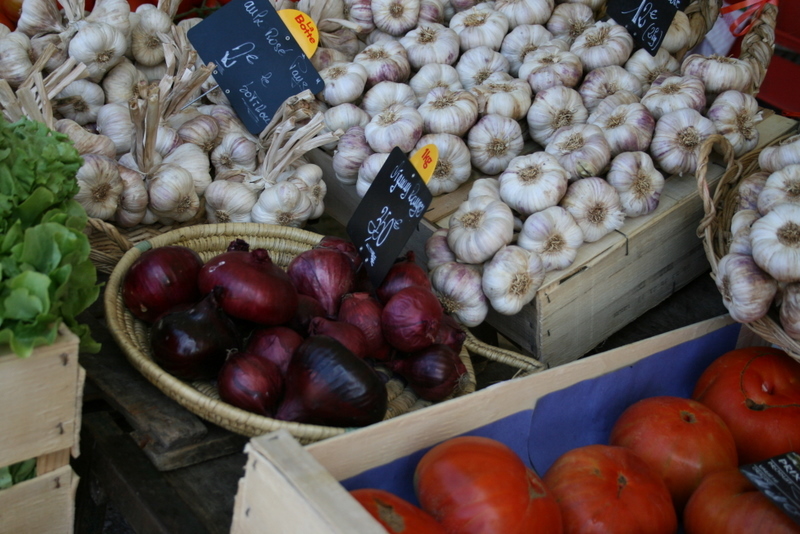 Montignac: mornings – local produce, fruit and vegetables. Perigueux: mornings at Place du Coderc, Place de la Clautre, Place de la Mairie – fresh farm produce. 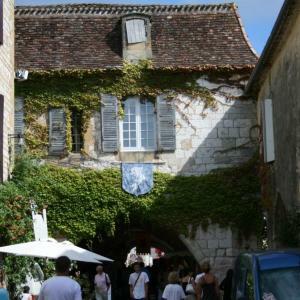 Perigueux: all day market at Place Bugeaud and Place Francheville – arts and crafts and fabrics. Perigueux: mid November to mid March, mornings at Place St Louis – marché au gras (duck and goose produce) and truffles. Sarlat: mornings at Place de la Liberté and streets around – fresh regional produce. 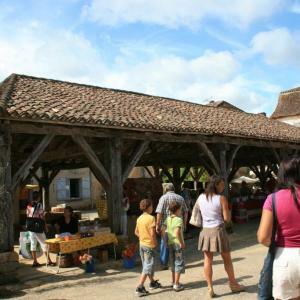 Excideuil Dordogne: mornings – large general market. Eymet Dordogne: mornings – general market. This market has been running regularly since 1270. 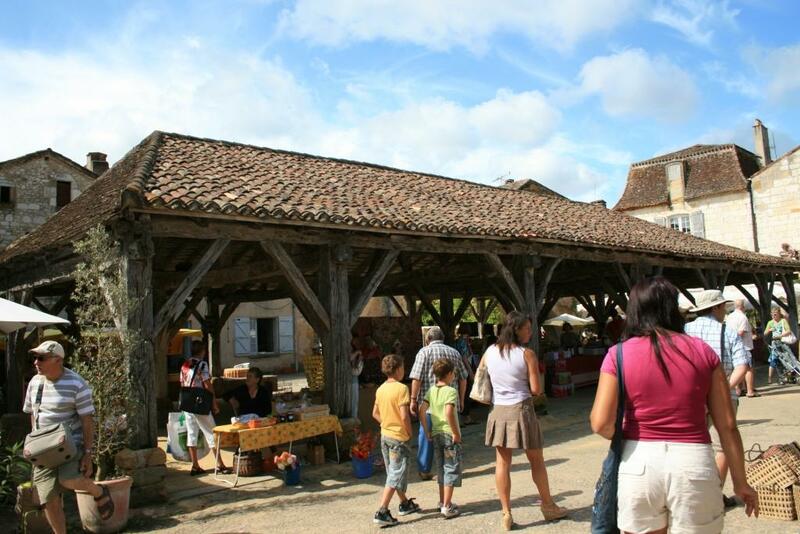 Saint Astier Dordogne: mornings – general market held year round. Saint-Aulaye Dordogne: mornings – fish market. Terrasson Dordogne: mornings – marché au gras (duck and goose produce) and truffles. Brantôme: mornings – general market. Brantôme: July and August, farmer’s market selling local specialties. Brantôme: December to February, mornings – truffle market. Brantôme: 1 November to 15 December – morning nut market. 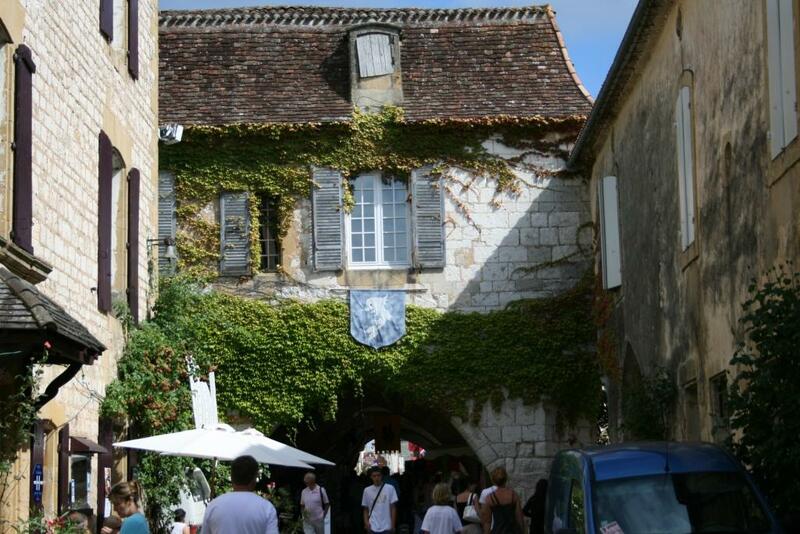 La Roque-Gageac: June to September 9:00 13:00 on the main square – local farm produce. Riberac: mornings, throughout the city centre – general market. The biggest market of the Perigord. Riberac: 15 November to 15 March, mornings in the Salle Polyvalente – marché au gras (duck and goose produce). Riberac: Autumn in Place André-Pradeau – morning nut market. Belvès: mornings, around the hall – general market. Bergerac: mornings at the Place du Marché Couvert – fruits and vegetables. Montignac: mornings – fresh produce smaller than the main Wednesday market. Monpazier: Mornings – fresh produce. Mussidan: mornings – fresh farm produce. Nontron: 2nd Saturday of July, evening in Place Alfred Agard – African market. Perigueux: mid-November to mid-March, mornings at Place St Louis – marché au gras (duck and goose produce) and truffles. Riberac: 3rd Saturday of August, all day – antiques market. Sarlat: all day market in Place de la Grande Rigaudie and Place Boissarie – fresh regional produce (and in winter only marché au gras and truffles). A highlight of the markets in the Dordogne. Saint-Aulaye: mornings – fresh farm produce. Eymet: occasional morning artist market. Issigeac: mornings – general market. Riberac: May to September, mornings at Place du Relais – fresh farm produce. Rouffignac St-Cernin de Reilhac: mornings – local produce, fish, fruit and vegetable, flowers, also clothes and a Chinese food stall. Audrix: July and August from 18:00 to 23:00 – local farm produce. Brantôme: July and August – fresh farm produce. Issigeac: 1st weekend of May – flower market. Mussidan: July and August, daily except Monday, under the hall – fresh farm produce. Riberac: July and August – arts and crafts evening markets. Rouffignac St-Cernin de Reilhac: Wednesday evenings from 18:00 from July to beginning August at Place du marché. Saint-Aulaye: 2nd weekend of August in the evening – wine, cheese and regional produce fair. Thiviers: 3rd weekend of August – wine and food fair.